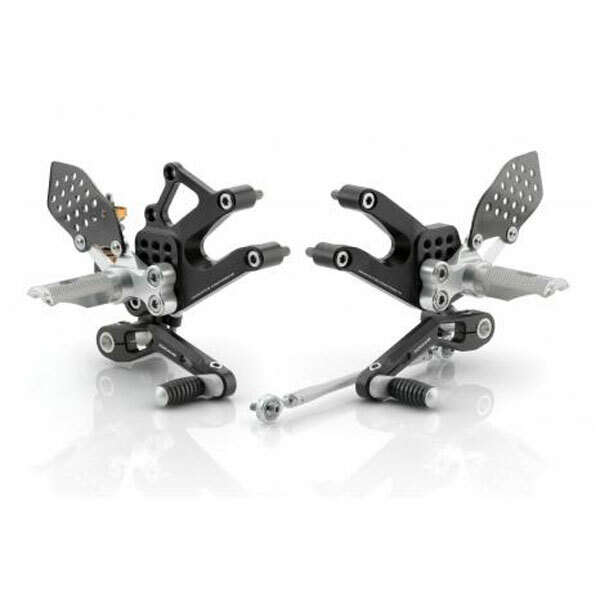 These fully adjustable rearsets are top quality. Ball bearings at every joint in the linkage make shifting silky smooth. Machined from aluminium billet for unbeatable rigidity and robustness, RIZOMA rear set controls enable you to custommize your riding position in terms of height and longitudinal position, so as to perfect your connection to the bike. RIZOMA controls stand out for their perfect combination of technology and design. The care for detail and quality of all our components assures long lasting quality and low wear even in intensive use. *Note: Image is for reference purpose only, actual product may vary depending on your motorcycle make and model.